KLM has very affordable deals to the nearby cities such as Bali starting from $190 for return airfares! Although their aircrafts are not the newest, they do maintain overall good condition and their service is ok too. Promotional airfares to Europe and US are very attractive too. A simple check at BQ.sg for a valid promo code or promotion will help you save even more! It is free to use any promo codes at BQ.sg so sign up for their mailing list and Facebook page to help you get updates on the latest promotions! 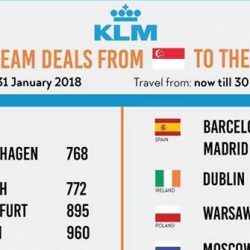 Book by 4 Apr 2019 Air France/KLM: Spring Economy Deals to Europe from SGD781! 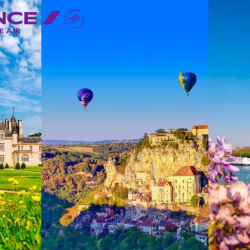 Enjoy the beautiful energy of spring when everything is reborn and blossoming to discover Europe with the amazed eyes of a child on Air France & KLM! Economy fares start from S$781. Offer ends on 04 April 2019 for travel until 28 February 2020. Close your eyes and pin a destination: the KLM Dream Deals are finally here starting from SGD199 all-in! Book by 31 January 2018 and travel from 17 January to 30 November 2018. Fasten your seatbelts, KLM Dream Deals are here to over 90 destinations from SGD 759 all-in! If you are dreaming of a holiday in Bali, New York, Paris, London, Athens or other beautiful cities, check out KLM's offer now and book by 14 September 2017! For travel from 01 October 2017 until 30 June 2018. Book by 16 Jun 2017 KLM: Early Bird Deals to Europe from S$849! 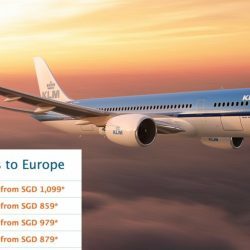 KLM is having early bird deals to Europe starting from S$849 all-in! Travel from 11 September till 31 May 2018 to Amsterdam, London, Rome, Athens, Moscow and more. Book your tickets by 16 June 2017! 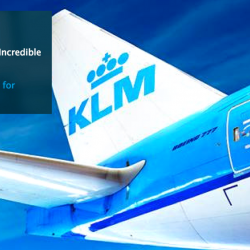 Book by 17 Sep 2015 KLM: Dream Deals to Bali and more! Fancy a trip to magical Bali? As probably the most famous island in Indonesia, Bali blends spectacular mountain scenery and beautiful beaches with warm and friendly people, a vibrant culture and out of this world resorts. KLM is offering a dream deal to Bali from $149 onwards return fare including tax for travel till 31 May 2016! Book by 17 September 2015 to enjoy this awesome deal! KLM Royal Dutch Airlines was founded in 1919 and is the oldest airline in the world. They merged with Air France in 2004, although they still fly under its own name. Every year, KLM transports more than twenty million passengers. About three quarters of these people make use of Schiphol Airport, KLM's home base, as a transfer point. Transfer passengers, who are growing in number, use Schiphol to leave one plane and board another to fly on to their final destination. For other passengers, Schiphol is their starting point or final destination. 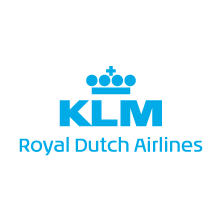 As of summer 2015 KLM offers 135 worldwide destinations, whereof 67 longhaul and 68 mediumhaul destinations.Airline Alliance Program KLM is a member of the SkyTeam airline alliance. SkyTeam is a worldwide alliance of airlines consisting of 19 partner airlines. As one of the world’s largest networks, SkyTeam offers millions of passengers each year a worldwide system to 1000 destinations in 187 countries on six continents. SkyTeam is the world’s second-largest alliance in terms of market share.As members of SkyTeam, KLM and Air France play an important role in North America, Europe, and Asia. Together with its partner, Kenya Airways, they also have a strong position in Africa.PromotionsKLM has frequent good deals for flights to Europe and US, as well as to the nearby cities such as Bali.Remember to check for the latest promotions that they have on BQ.sg so that you can save more!